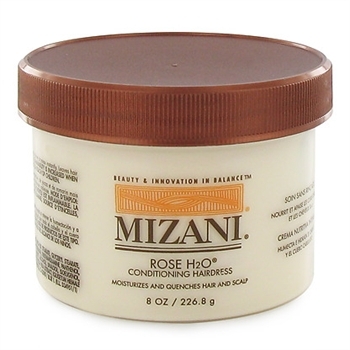 MIZANI ROSE H2O CONDITIONING HAIR DRESS -An enriched hairdress containing natural oils and botanical extracts formulated to replenish moisture and add a soft, silky sheen to dry, dull hair and scalp. Rose H20 Conditioning Hairdress is rich enough to relieve itchy, tight scalps, yet so light it doesn't leave a build-up. 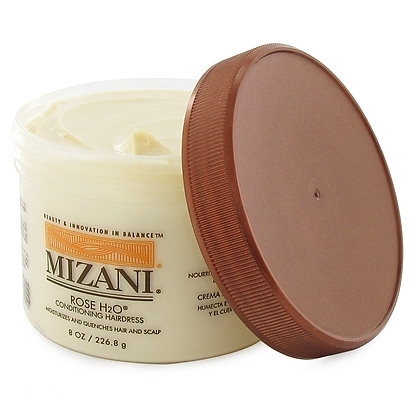 With its unique blend of ingredients, this aromatic, creamy conditioning hairdress helps to prevent split ends and styling damage while ensuring shiny, healthy hair.